The Rev. 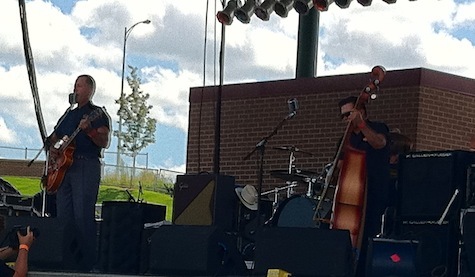 Horton Heat at Maha 2011. The band returns tonight at The Waiting Room. I’m just now noticing how bad the above photo is from the Maha Music Festival in 2011. I completely forgot that The Rev. Horton Heat had played on the small stage that year, and can’t remember a lick about the performance. RHH has been an Omaha staple for as long as I can remember. My earliest noted appearance was when he and his band came through way back in March 2007 to play Sokol Underground with Murder by Death (but I’m sure they played here even before that). The RHH is headlining tonight at The Waiting Room with Big Sandy, Junior Brown and The Blasters for something they’re calling Horton’s Holiday Hayride. The Rev has a new album coming out this Friday on Victory Records called Whole New Life. No doubt you’ll be getting an earful of it tonight. $40, 7:30.